design. Look great on all devices. 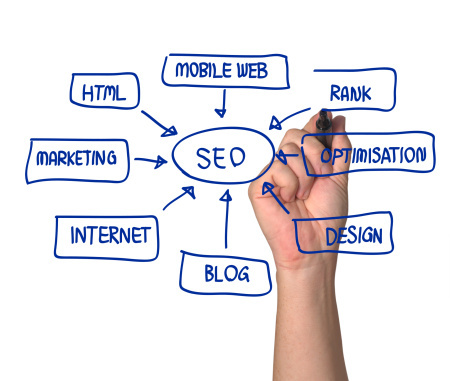 Maximize your online presence with our effective SEO strategies and lead generation methods. "Elite Web STL has helped us not only dramatically increase foot traffic to our brick and mortar store, but also cut our PPC budget in half while increasing traffic to the website." "Elite Web STL has been extremely helpful in building our new website. The web development process went very smoothly. They were very responsive to our needs, provided prompt service, and stayed within the bid they gave us. Rick has the ability to explain the web development process and explained the initial site SEO in terms we could understand. 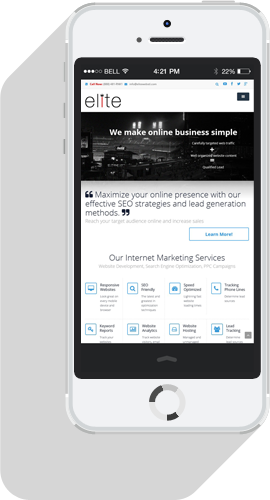 We look forward to using them for our internet marketing services in the future." "Elite Web STL delivered us a professional website at an affordable cost. They stayed within budget and their continued seo services help us rank higher to gain more potential clients to our site." Elite Web Stl is a website marketing and search engine optimization (seo) company located in St. Louis Mo. We design and build quality, content rich websites for businesses, non-profits and professionals. We believe websites are the best, most affordable, yet underused marketing tool for small businesses today. We pride ourselves in staying up to date with the most recent trends and SEO (Search Engine Optimization) methods to ensure you reach your target audience and drive traffic to your website. We integrate beautiful, clean graphical design elements into websites with leading website marketing strategies to help convert casual visitors into loyal customers. Our passionate and skilled team works with you to consult and offer you the best web design solution based on your specific needs. Search Engine Optimization - Keyword research performed and proper optimization implemented to ensure you reach your target audience. Hosting and email packages bundled with monthly fee. Personal Consultation to learn your needs and fit your budget! So if you're looking for a website company that custom tailors it's strategies to fit your business and marketing plan to generate leads, look no further. Elite Web STL understands that every company is different, from the type of business they conduct to their goals. We will work with you to find out who your target market is, and maximize your online presence to get you in front of those potential clients who are looking for your services! Contact Us today for a free website consultation.